Just Genesis : Who was Abraham? Abraham is a pivotal figure of biblical history. He is a sent-away son who established control over a territory that extended between Kiriath-Arba (Hebron) and Beersheba. His territory was entirely in the region of ancient Edom and he was kin to the Horite rulers of Edom who are listed in Genesis 36. 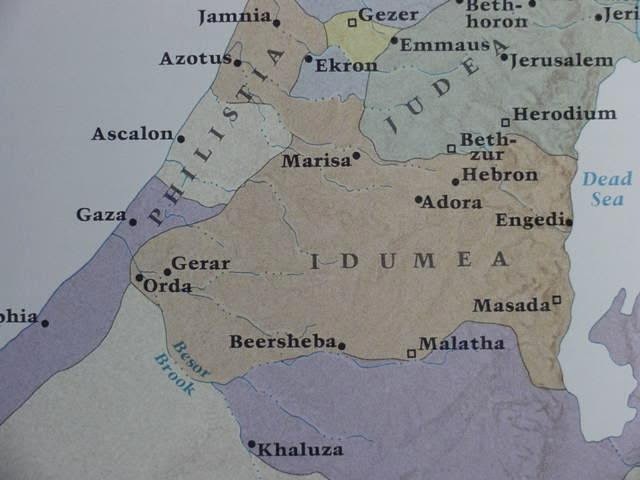 Note that both Hebron (where Sarah lived) and Beersheba (where Keturah lived) are in Edom, called "Idumea" by the Greeks. 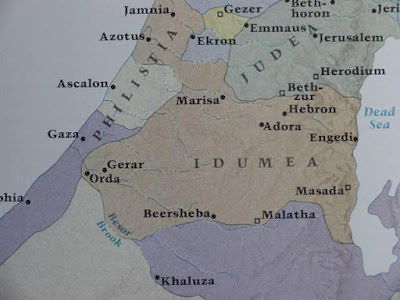 Idumea means "land of red people." Abraham's territory extended between the settlements of his two wives and was entirely in Edom. Abraham's ancestors were Proto-Saharan and Nilotic rulers, some of whom are listed in the Genesis 4 and 5 king lists. These rulers dispersed across the ancient world. His ancestors were known by various names: Ha'biru (Hebrew); Horim (Horite); Shasu of Yahweh, and Anu, Hanu or Onu (Ainu). Many of Abraham's ancestors held titles of nobility. 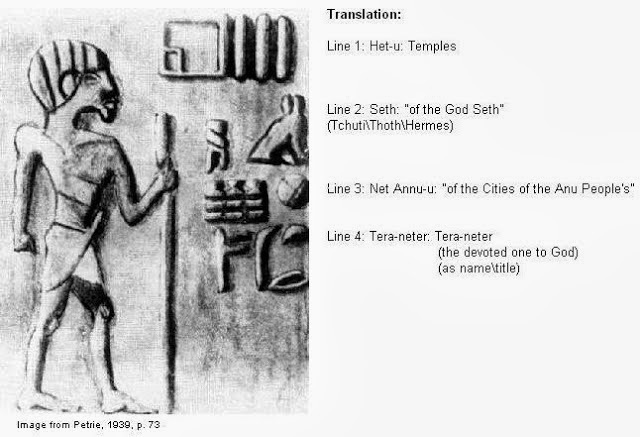 Tera-neter (priest of God) refers to a ruler-priest of the Anu, a pre-dynastic people of the Upper Nile. Abraham’s father has the title Tera, which means priest. The Ainu spread abroad, taking their religious beliefs and practices with them. They migrated to Northern Japan and into Eastern Canada. In the Japanese language "tera" means priest. Image of an Anu priest. Note the skullcap with frontal piece. Note the beard and moustache. The staff (knobstick) was a symbol of authority. The mother of Jesus was of the neter lineage. Her full name was "Miriam Daughter of Joachim Son of Pntjr Priest of Nathan of Bethlehem." Before the time of the Pharaohs the Horites designated the divinely-appointed ruler ntjr. Jesus was a direct descendant of Abraham's ruler-priest ancestors to whom God made the original promise in Eden that a woman of their lineage would bring forth the "Seed" of God who would crush the serpent's head (Gen. 3:15). All of the men and their wives listed in Genesis 4-11 were early rulers. Abraham's line descends from Nimrod, the son of Kush (Gen. 10; diagram below). This means that Abraham was ethnically Kushite. The Kushites migrated out of the Nile Valley into Mesopotamia, Pakistan, India and other parts of Asia. The Kushites were Nilo-Saharan peoples who contributed their binary worldview to the ancient Afro-Asiatic world. 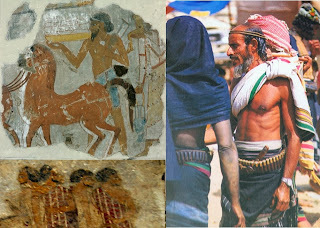 They include red, black and brown Nubians, pre-dynastic Nilotes of Sudan and Egypt, and the Ainu/Annu. Here is a chronology of Abraham's ancestors and his first born son, Yaqtan (Joktan). The approximate dates have been calculated using the king lists of Genesis 4, 5, 10 and 11. B.C. 2238-2163 - Arpacshad, son by Asshur's daughter, probably his cousin-wife. B.C. 2175-2100 - Peleg, Joktan the Elder's brother. B.C. 2154-2079 - Reu, likely the head of Leah's line, who named her first-born son Reu-ben. B.C. 1987-1912 - Joktan, Abraham's firstborn son by Keturah, his cousin wife. Abraham's Horites ancestors descended from Kush, the grandson of the Proto-Saharan ruler Noah. The Horites were a caste of ruler-priests and represent the oldest know ruler-priest catse. Jews call their ancestors Horim which is "Horite" in the English Bibles. Some Jews have Horite blood and some Arabs have Horite blood. Abraham is a descendant of the Proto-Saharan rulers Kain and Seth, whose lines intermarried, and from Ham and Shem, whose lines intermarried (endogamy). It is common for royal persons, especially those who are likely to ascend to the throne, to marry other royal persons. In the ancient world, which had a more rigid social structure, people married only within their group/caste. 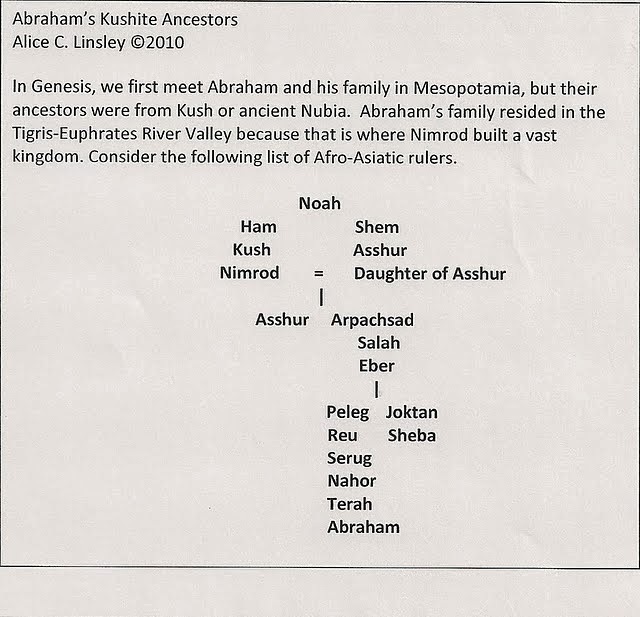 Here is a diagram showing Abraham's ancestry. Abraham had nine sons and an unknown number of daughters. Here is a list of the sons born to Abraham by his two wives: Sarah and Keturah, and his two concubines: Hagar and Masek. Yismael (Ishmael), who was Egyptian. His mother was Egyptian and ethnicity was traced through the mother, as is true in Judaism today. This pattern is still recognized in Egypt, which is why the Egyptian government has made it illegal for Egyptian men to marry Jewish women. From these children came peoples who live all over the world. Many of Abraham's descendants live today in Egypt, Yemen, Palestine, Lebanon and Syria. Some of his descendants are Jews, that is, people from Judah who returned to Judah from Babylon between 540-537 BC. In Judaism Abraham is portrayed as the first Jew. However, he was not Jewish and he did not speak Hebrew. 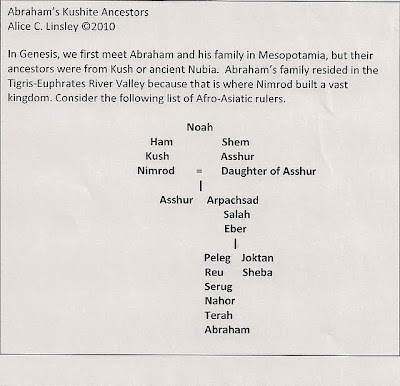 Some of Abraham's are Arabs, Egyptians, Asians, and Europeans. Abraham is honored in the great religions of Christianity, Islam, Judaism and Hinduism. Biblical Anthropology has uncovered a great deal of information about Abraham and today we have a better understanding of who he was. Here are some details gathered from both the Bible and from pertinent extra-biblical research. It took some time, but Abraham's eventually established himself with holdings that extended from Hebron to Beersheba. He became a great ruler in this region, a fact acknowledged by the Hittites who said, "You are a prince of God among us" (Gen. 23:6). Abraham was very wealthy. He controlled commerce along the caravan route that ran through his territory. He controlled the water systems within his territory: rivers, wells and natural springs. His wives, Sarah and Keturah, lived in separate households on a north-south axis. Sarah reside in Hebron to the north and Keturah resided in Beersheba to the south. Abraham's army patrolled the lands between his two main settlements. He had many herds, servants, slaves, and kinsmen living in Hebron and Beersheba and in the lands between these settlements. Abraham was known to the rulers of the the shrine cities of Shechem, Bethel and Jerusalem in the north. He was kin to Melchizedek, the ruler-priest of Jerusalem. When he first arrived in Canaan, Abraham settled for a time between Bethel and Ai and consulted a moreh (prophet) there (Gen. 12:16). Among his people were metal workers, carpenters, scribes, priests, warriors, and learned men called "morehs" (a earlier term for prophets). Animals in his service included, donkeys, camel and small (probably shaggy-haired) elephants. It is likely that Abraham spoke more than one language as a ruler. The best evidence suggests that Abraham and his Horite people spoke the languages of the peoples among whom they lived. As rulers of the Afro-Asiatic dominion, Abraham's Kushite ancestors spoke Nilo-Saharan languages. Abraham probably spoke more than one language. He would have known the Kushitic Akkadian of the Tigris-Euphrates River Valley and he would have know the Proto-Arabic spoken in Canaan. He likely read the script of the Thamudic group of Arabia. 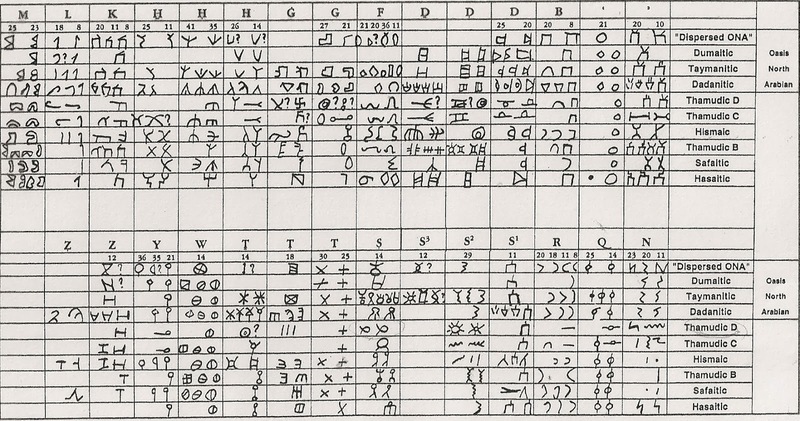 Here are some of the scripts Abraham would have known. 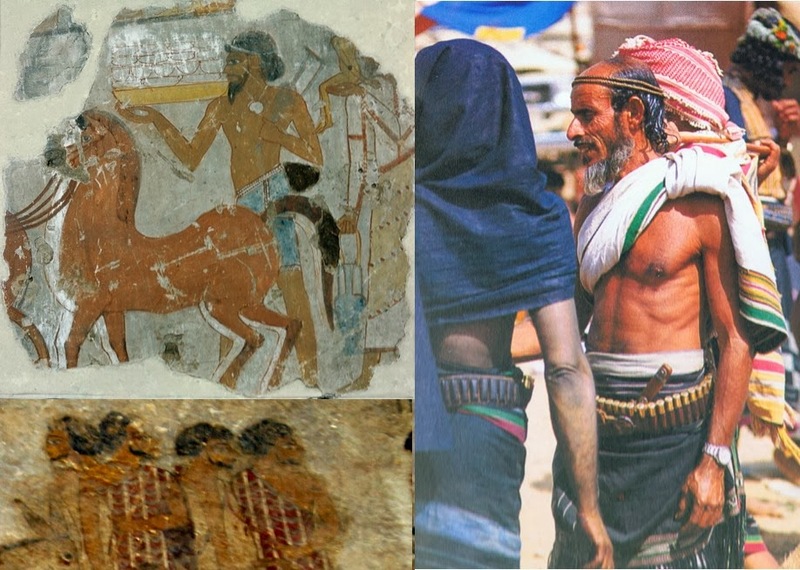 Abraham most likely had a reddish-brown skin tone similar to the men in these images. He likely had a beard and moustache and worn a skullcap with a frontal piece or a band around his head as in the image below. Note the beard and staff. Abraham was related to the ancient Anu (Ainu) who are known to have a reddish skin tone and green eyes. 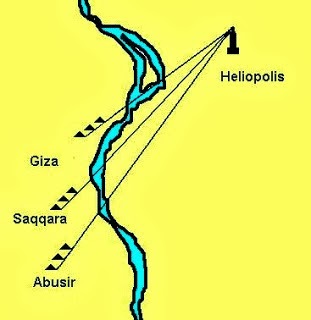 The Anu built the most prestigious ancient shrine on the Nile at Heliopolis (biblical On, mentioned in Gen. 41:45). The great pyramids of Giza, Saqqara and Abusir are aligned to the obelisk at Heliopolis. 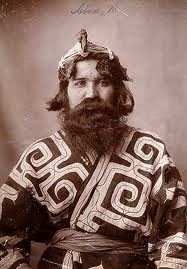 The Ainu migrated out of the Nile valley into Japan and North America. Ainu chiefs of both regions wear the same type of clothing and head covering. Note the similarity in their robes, the designs on the robes, and the skull caps with frontal pieces. Note the beard and moustache. The Cherokee refer to themselves as Tsalagi (ᏣᎳᎩ) or Aniyunwiya (ᎠᏂᏴᏫᏯᎢ), which means "Principal People." "The Payne papers describe the account by Cherokee elders of a traditional two-part societal structure. A "white" organization of elders represented the seven clans. As Payne recounted, this group, which was hereditary and priestly, was responsible for religious activities, such as healing, purification, and prayer. A second group of younger men, the "red" organization, was responsible for warfare. The Cherokee considered warfare a polluting activity, and warriors required the purification by the priestly class before participants could reintegrate into normal village life. This hierarchy had disappeared long before the 18th century. Researchers have debated the reasons for the change. Some historians believe the decline in priestly power originated with a revolt by the Cherokee against the abuses of the priestly class known as the Ani-kutani." 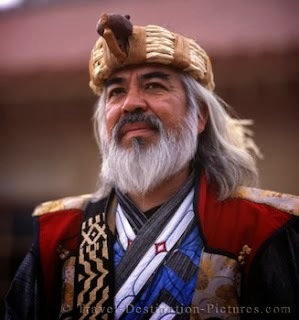 The holy/scroll item on the forehead of Hebrew/Habiru & Ainu/Utari male leaders is similar to the hol(y)ed (pierced) pebble worn on the forehead of Mayan men. Amorite/Amur(black river) is fed by D/Z/Sungari/Songhua(white) River and flows to Okh-otz/Hokk-aido, this is the route the Ainu took from Dzungaria basin, north of Tarim basin. Basques/Ueskadi went west to Spain, utari went to sunrise. ..."priestly class known as the Ani-kutani." Aniyunwiya "Principal People", On, Iunu, Hun-gari. Hun-gar is especially provocative. The Hungarians call themselves the "Magyar" which is Ma-gyar = Hun-gar. The Magyar-ab - Tribe of Magyar - still live along the Nile River. Their ancestors moved east and north, perhaps as part of the Kushite expansion out of Africa. Gar means one who trades or a merchant in many Nilo-Saharan languages. I'm curious about the name changes that took place in Genesis 17. How significant were these changes and why were they made by God? ('Abram' (High father) to 'Abraham' (burnt father) and 'Sarai' to 'Sarah'). Name changes are always significant in Genesis, but the meaning isn't always clear. Until we can better establish linguistic correlations, we may not know what was originally intended. For example, if we look to the languages of the Nilotic Luo the name Ab-ra-ham would mean something like this: Father (God) Ra blesses or curses. In Luo ham, also spelled kham or lam, means either a blessing or a curse. With this in mind, God telling Abraham, "And in you all the families of the earth will be blessed" (Gen. 12:3) takes on new meaning. God promised, "And I will bless those who bless you, And the one who curses you I will curse. And in you all the families of the earth will be blessed." (Gen. 12:3). This makes sense to me. Among the Luo does the word Ham appears as Kham or Lham. I have been told that ham can mean either blessing or cursing. Lam /Lham is to pray for a good or bad (curse) thing to happen. Lamo is the prayer or curse. However, the Acholi omit the L, hence Ham.﻿ The Acholi who venerate the cattle and saw the long-horn Acholi cattle horns as a symbol of the overshadowing of the Creator - the Y solar cradle. Abraham & The South Arabic Connection: "It may well be that the story of Abraham’s wanderings out of northeastern Mesopotamia was taken into the Bible from the South Arabic language of those Bedouin-like peoples who maintained the wandering Hebrew lifestyle even after the Israelites had settled down as farmers in Palestine. The evidence that suggests this possibility is the fact that in South Arabic, the name Abraham is spelled ‘brhm (where the letter h indicates a vowel). The South Arabic pronunciation of the name is Abram, the name by which Abraham was originally called, but which later Hebrew readers mistakenly interpreted as Abraham, thinking the ‘h’ to have been a consonant. Similarly, the South Arabic spelling of Sarah is Sarai, the name by which she is first called in the biblical story …[the] South Arabic -ai is simply the spelling of the feminine suffix that is pronounced the same as the Hebrew feminine suffix -ah. If South Arabic is the source of the Abraham tradition, then we have both an explanation for the supposed change of the names Abram and Sarai to Abraham and Sarah and an explanation of why the etymologies of the names given in the Bible seem to be incorrect. In Western Semitic languages such as Hebrew, the name Abram (or Abi- ram) means ‘the (divine) Father is high’, but the name Abraham does not mean, as the Bible asserts, ‘father of a multitude of nations’, which would be rendered as Ab-hamon, not Abraham. The etymologies, in other words, are simply folk interpretations of an earlier non-Hebrew name taken over into the Bible from the South Arabic language." The above article is consistent with Deut 26:5 which proclaims the father of the Hebrews to be Aramaeans (Arimi in Hebrew). It is also consistent with the Quranic assertion that the Aad of Iram or Aramaeans were from Al Judi or the southern coast of the Arabian Peninsula. There is no evidence in the Bible that Abraham "wandered" extensively or even cyclically, as nomads do. He came from Mesopotamia, as a sent-away son, to claim a territory for himself in what became known as Edom. 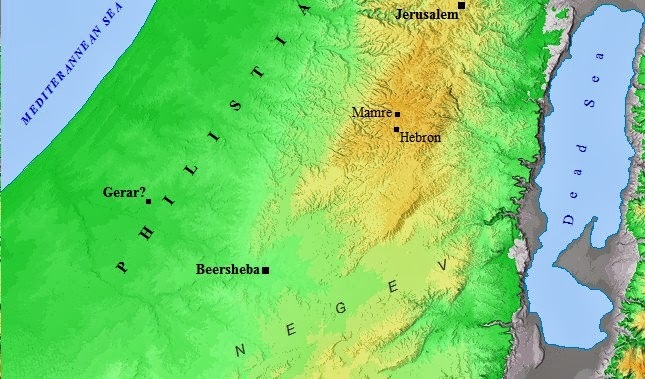 His territory extended between Hebron and Beersheba. Tofanelli, Sergio; Ferri, Gianmarco; Bulayeva, Kazima; Caciagli, Laura; Onofri, Valerio; Taglioli, Luca; Bulayev, Oleg; Boschi, Ilaria et al. (2009). “J1-M267 Y lineage marks climate-driven pre-historical human displacements”. European Journal of Human Genetics 17(11): 1520-4. Doi:10.1038/ejhg.2009.58.PMC 2986692. PMID 19367321. So, you see Alice. Abraham was not from ancient Mesopotamia as the genetic links and the etymology of his name places him and/or his ancestors as originating from the southern coast of the Arabian Peninsula. Many Western Biblical scholars insist that Abraham was a pastoralist. However, the extensive list of Hebrew trading partners indicates that their caravan routes extended into Mesopotamia, Anatolia, all of the Levant (including the Mitanni Kingdom), Egypt, Libya and Abyssinia. Abraham is especially mentioned in connection with Egypt and Paran, the home of the Midianites. It can be safely assumed that Abraham traveled extensively. 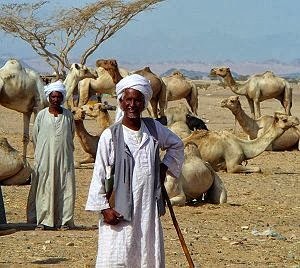 The peoples of Yemen were Dedanites, famous for spice trading and caravans. Dedan is a descendant of Kush. Their priests were Horite (Horim, Houris) - the distinguished ones, or the righteous rulers. There are Horites among both Jews and Yememi.